Norma Kamali describes this piece as "a modern version of the catsuit." It's cut from the brand's comfortable stretch-jersey and has a slim fit through the body with swishy wide legs. 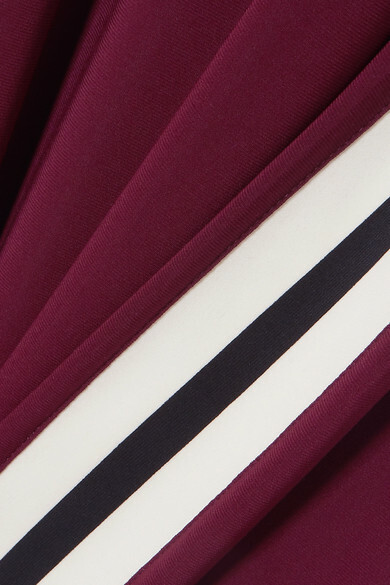 The sporty stripes at each side are engineered so you appear taller, making it ideal for those with a petite frame. Complement the plum shade with black accessories. Shown here with: Cesta Collective Shoulder bag, Rosetta Getty Sandals.